I am a visting resarch scholar working with Prof. Yong Jae Lee on weakly supervised methods for computer vision. I graduated from MNNIT Allahabad with Bachelors in Computer Science and Engineering. I spent summer 2017 working with Prof. Venkatesh Babu on adversarial machine leanrning. 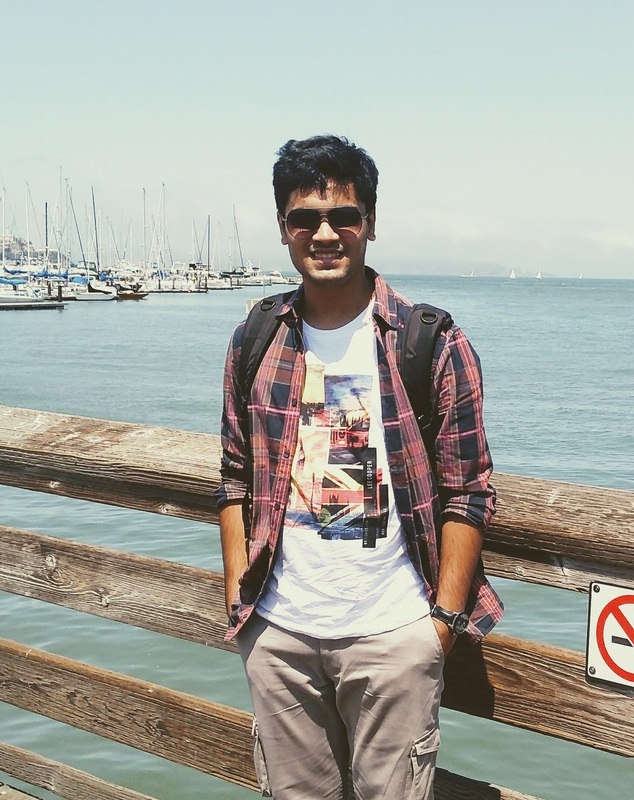 Prior to that in summer 2016, I interned at Indian Space Research Organization, working on high resolution image reconstruction. Serving as a reviewer for ICCV'19. 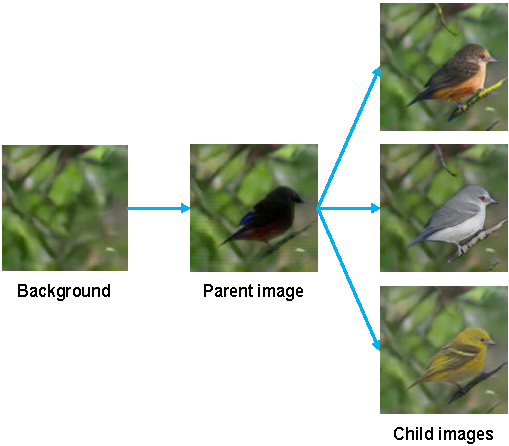 Paper on unsupervised hierarchical disentanglement for image synthesis is accepted at CVPR'19 as oral. Joined UC Davis as a research scholar, working with Yong Jae Lee. Paper on modelling universal adversarial perturbations accepted at CVPR'18. We propose FineGAN, a novel unsupervised GAN framework, which disentangles the background, object shape, and object appearance to hierarchically generate images of fine-grained object categories. To disentangle the factors without any supervision, our key idea is to use information theory to associate each factor to a latent code, and to condition the relationships between the codes in a specific way to induce the desired hierarchy. Through extensive experiments, we show that FineGAN achieves the desired disentanglement to generate realistic and diverse images belonging to fine-grained classes of birds, dogs, and cars. Using FineGAN's automatically learned features, we also cluster real images as a first attempt at solving the novel problem of unsupervised fine-grained object category discovery. Adversarial perturbations can pose a serious threat for deploying machine learning systems. Recent works have shown existence of image-agnostic perturbations that can fool classifiers over most natural images. Existing methods present optimization approaches that solve for a fooling objective with an imperceptibility constraint to craft the perturbations. However, for a given classifier, they generate one perturbation at a time, which is a single instance from the manifold of adversarial perturbations. Also, in order to build robust models, it is essential to explore the manifold of adversarial perturbations. In this paper, we propose for the first time, a generative approach to model the distribution of adversarial perturbations. The architecture of the proposed model is inspired from that of GANs and is trained using fooling and diversity objectives. Our trained generator network attempts to capture the distribution of adversarial perturbations for a given classifier and readily generates a wide variety of such perturbations. Our experimental evaluation demonstrates that perturbations crafted by our model (i) achieve state-of-the-art fooling rates, (ii) exhibit wide variety and (iii) deliver excellent cross model generalizability. Our work can be deemed as an important step in the process of inferring about the complex manifolds of adversarial perturbations. In this paper we address the image denoising problem specifically for high resolution multispectral images. We explore the possibility to device a method that approximates the denoising function using the ideology of learning from data. The overall objective is to build a model that replicates the denoised results of Non-local means algorithm using far less computational resources for each of the four spectral bands (blue, green, red and near infrared). We have used deep neural networks and in particular stacked autoencoders to learn the function that maps a noisy image to its denoised version. We show that after training the model on a large set noisy and denoised images, excellent results that are comparable to the results of Non-local means algorithm can be obtained in much less computational time. The scope of the model can further be extended to denoise any other natural image by training it on the appropriate data set.